The February 2019 Family Connect & Clinical Connect Update Has Arrived! 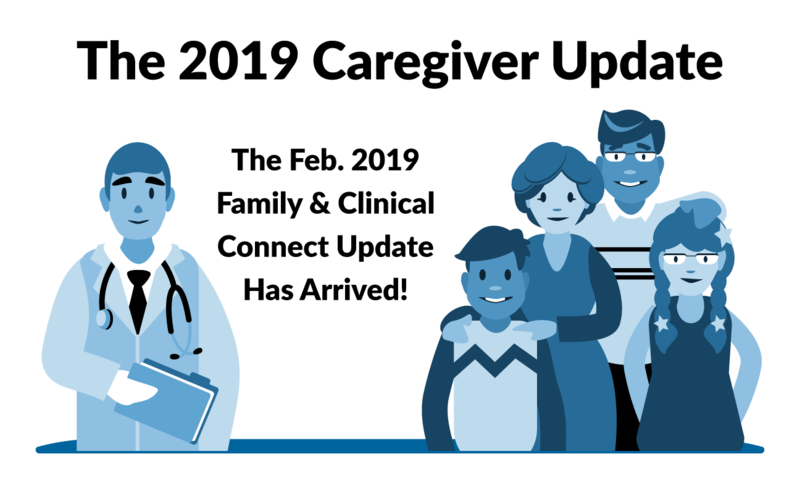 The February 2019 Family Connect and Clinical Connect Update has arrived! This update isn’t about Mom’s Companion, it’s all about YOU, Mom’s caregiver. The purpose of this update is to bring insights and useful information to family members and clinicians. Now you’ll be able to track Mom’s progress as we work together to improve her mood, behavior, and health. In this blog, “Mom” is an example use case to describe the companion user. Your companion user could be anyone who uses SimpleC Companion that you care for. It could be your mom, dad, sibling, cousin, aunt, uncle, grandparent, or best friend. The Visit Assessment allows everyone in your Mom’s life: family, nurses, and clinicians, to record and share information about her mood, behavior and health. The Snapshot Report provides a quick summary of Mom’s care goal status. It logs all notifications, visits, and notes reported within the past two weeks. 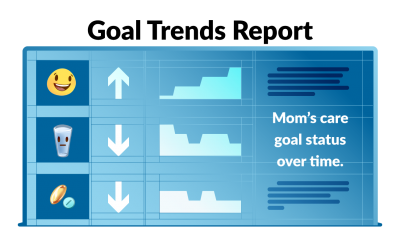 The Goal Trends Report creates an in-depth view of Mom’s care goals. This report can tell you if her health, mood, and behavior is improving or declining. Updated Notifications integrate into the Snapshot Report where you can view Mom’s alert history at a glance. 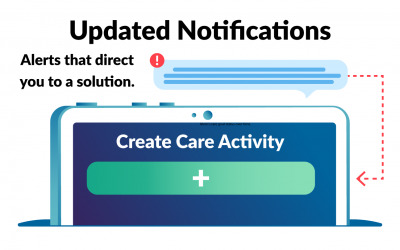 Notifications can also provide a link to the relevant page or solution. 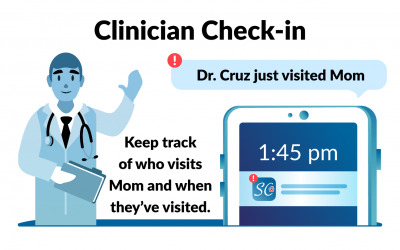 Clinicians can “Check-in” and “Check-out” when they visit Mom’s House. Family members, clinicians, and managers will know if and when Mom has been cared for. Feel free to dive into our feature blogs. Learn more about each feature and how it can help you and your Mom. We hope that you enjoy these features and find them helpful. 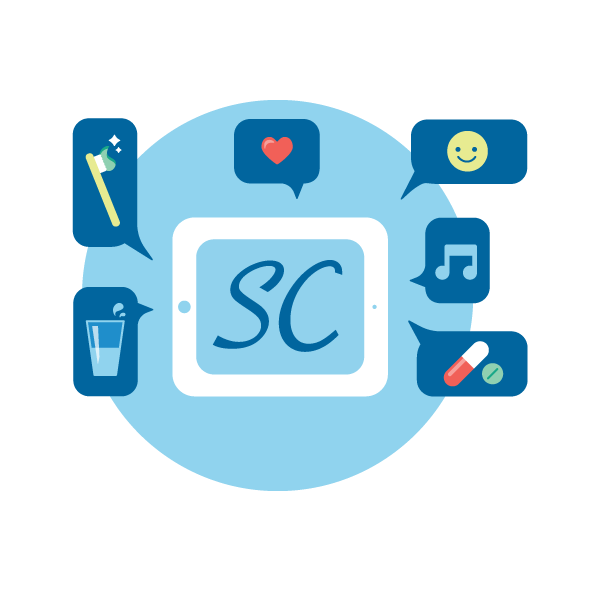 If you have any other features or ideas that could help you manage and improve Mom’s care, please send us an email at support@simplec.com. Thank you and take care!